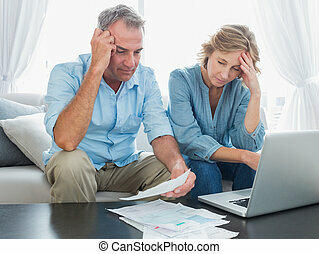 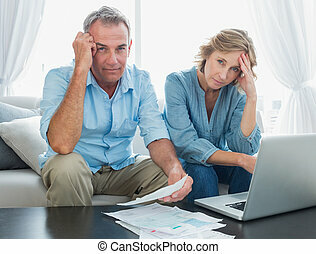 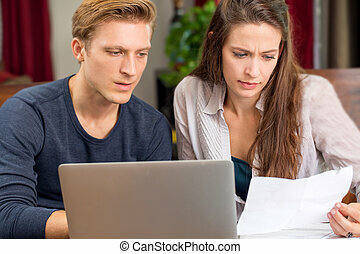 Couple paying bills by online banking. 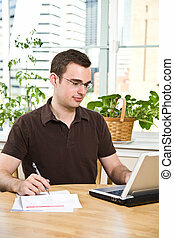 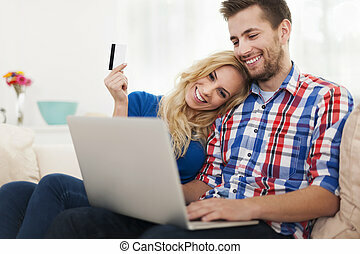 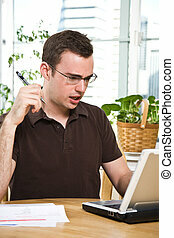 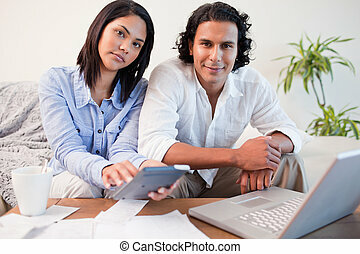 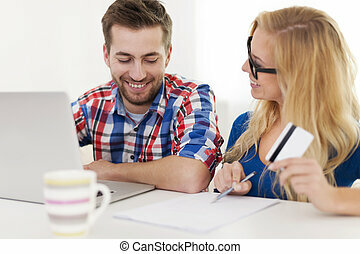 A couple paying bills by using online banking at home. 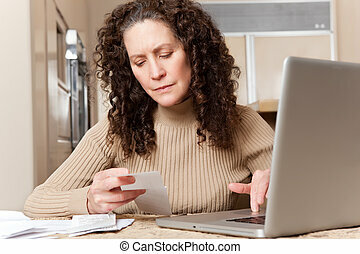 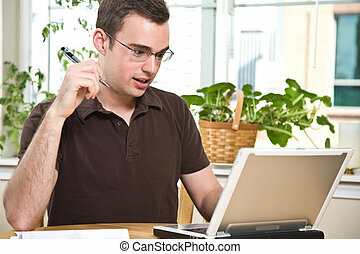 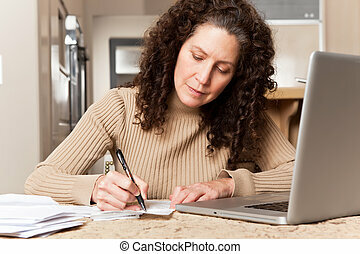 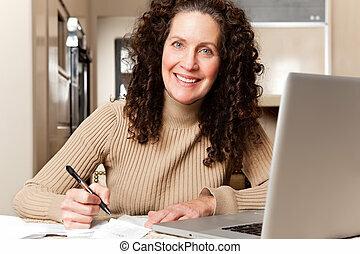 Casual woman in red sweater paying bills online at home. 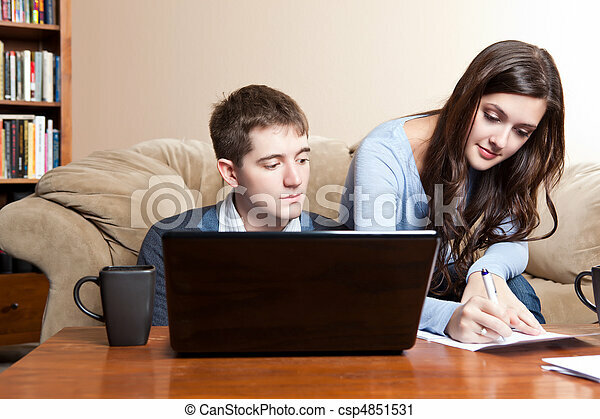 Space for copy to right. 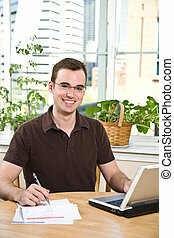 Version with houseplant. 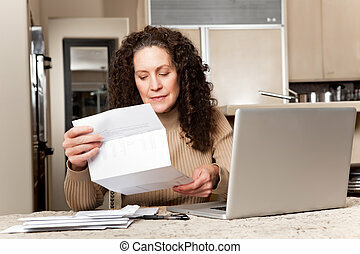 Casual woman in red sweater paying bills online at home. 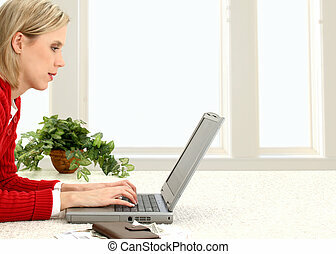 Space for copy to right.